Working in Silicon Valley, Vannaro Lim is always trying to find ways to encourage more diversity on engineering teams – that’s how he was introduced to all-women’s coding bootcamp Hackbright Academy! He’s hired a number of Hackbright Academy alumnae, both in his previous role at Slack, and now as the Engineering Lead at Checkr. Vannaro tells us why companies should invest in mentorship to build diverse teams, what Checkr’s technical interview process looks like, and how Hackbright Academy grads contribute and innovate at Checkr. Tell us about Checkr and your role there. Checkr started off as an API-first company providing enterprise solutions for companies to automate background checking. Then we transitioned our product into a web application and started targeting more marketplace businesses, consumer-facing companies. Now, we provide compliance background checks for employment decisions or tenant verification. At Checkr, I build out the technical recruiting process, from how we technically assess engineers to what we assess on the site. What types of roles do you hire bootcamp grads for? 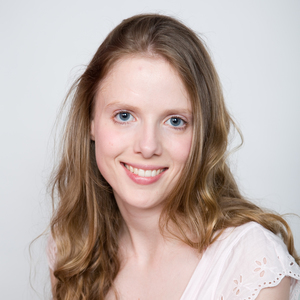 We have hired one Hackbright Academy alumna to work on our Full Stack Application Team. We’ve also hired graduates from General Assembly and Dev Bootcamp. How did you first get connected with Hackbright Academy? In my previous role at Slack, I was trying to find unique ways to help increase gender diversity amongst our engineering teams. As we were building out our diversity pipeline, we learned about Hackbright Academy. I helped create the Hackbright Academy mentorship program at Slack, and from that point on, our relationship just developed and grew. At Slack, we eventually hired 10-15 Hackbright engineers between 2015 and 2017. When I transitioned to Checkr, I wanted to create that same diversity here at Checkr. Other than Hackbright Academy, how do you usually hire developers? The most effective way I’ve found is to be part of groups that are trying to promote change in reshaping the landscape in Silicon Valley. Whether it’s being a part of a community organization or part of good, social-mission startups, we try to find our engineers through good networking. What are you looking for in a new technical hire? Does your approach differ when you’re hiring bootcamp grads versus developers with more traditional backgrounds? The profile of a new hire is going to be different when you’re assessing talent from a senior engineer compared with a junior or new grad. For a new grad position, we’re trying to gauge the probability or likeliness that a person will be able to succeed. We try to test for curiosity, their motivation and determination, and what they bring forward during the interview process. We like to base our hiring decision on a bootcamp grad’s potential rather than what they already know. What sort of technical interview do you put Hackbright Academy alumnae through? Our technical interview is no different from the challenges we give to our senior engineers. Our technical interview process generally happens remotely, in two parts. First is our technical exercise, which is meant to verify how well a candidate can communicate their thought process, and how familiar and comfortable they are in their set programming language. We typically give candidates a name matching exercise which revolves around the idea of name validation. Since we are a background check company, identity verification is very important to us. If they do well on that portion, then the next step is to bring the candidate onsite. Our onsite interview is unique because we try to make it directly applicable to what they will be doing on the job. Since we are a web application or SaaS company, we base our entire interview process around the premise of launching your own web application. Did you ever have to convince your company (or yourself!) to hire a bootcamper? Absolutely not. The lack of female engineers in Silicon Valley is a known problem. We strongly believe that if we can’t hire senior female engineers, then we need to take the next step and try to cultivate that talent ourselves. Making early investments in bootcamp grads is a really great way to help build that diverse engineering community, and cultivate that talent so we can mold them to be the engineers we need them to be. At Hackbright Academy, students learn Python. Is your team at Checkr working in Python or do new hires from Hackbright need to learn new languages on the job? You mentioned that you set up a mentorship program at Slack, and were setting up a similar system at Checkr. How do you help new hires learn quickly and ramp up? First, the biggest thing we wanted to get right is assigning directed tasks for a junior engineers. Often times, as a software engineer, I have found that most companies never really provide learning opportunities. You end up stuck in the position you were hired for, and the ability to grow outside that is quite difficult. At Checkr, we want to make sure we have a growth strategy in place. When we onboard new interns or junior engineers, there’s a directed task, and a specific matrix they can following in order to level up to the next engineering level. For example, Michelle has had the opportunity to move between different teams as she wants. We try to facilitate employees to have the freedom in discovering what they’re passionate about and what they’re great at. In addition to increasing gender diversity, are there other benefits to recruiting engineers from coding bootcamps like Hackbright Academy? Definitely. People who have graduated from a coding bootcamp have a very unique approach to solving problems, especially compared with the approach of a four-year CS graduate which is methodical and traditional. In our company environment, we are always looking for new ways to innovate, and sometimes you have to think outside the box. I think the best way to source innovation is to gravitate towards interns and bootcamps, because these bootcamps are teaching engineers a new approach that’s not really taught at universities. 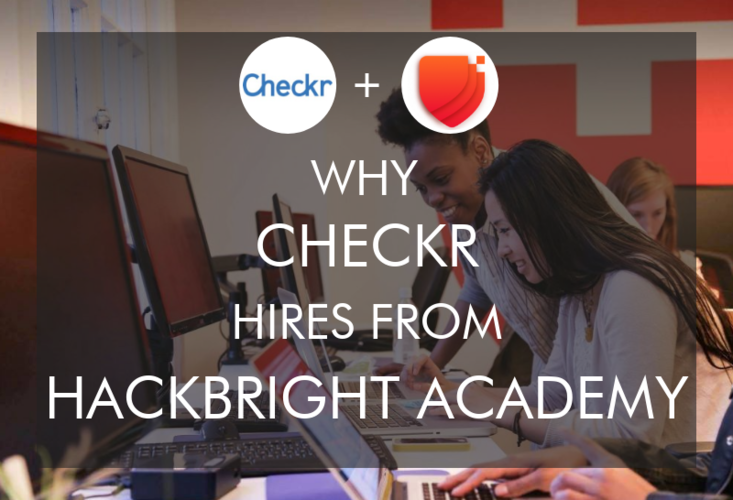 What does the relationship look like between Checkr and Hackbright Academy? Do you have a partnership, or do you pay a referral fee when you hire their graduates? Our relationship is both a partnership as well as a paid referral program. We sign a contract for every hire we make. But for us it’s a small price to have access to such a diverse set of talents. We also have partnered up with Hackbright to be a part of their Hack Demo Night, and we actually hosted their first graduation at our office space. Do you have a feedback loop with Hackbright at all? Are you able to influence their curriculum if you notice your dev hires are under-qualified in a certain area? Not consistently, but I have made suggestions to improve their process. For example, I suggested that they intertwine individual study with group-based tasks. Engineers should work on their own, as well as in a group setting. The other piece of advice I offered them is to expose their engineers to a larger code base versus doing their own small micro projects. People can get overwhelmed when looking at large code bases for the first time, and they often don’t have that exposure until they start their job. So we suggested that Hackbright grab some sort of open source tech, and have somebody maintain that code base and add new features so that each new cohort can contribute to it. Will you hire from Hackbright Academy in the future? Why or why not? Absolutely. The caliber of students they have been generating in terms of engineering talent has been phenomenal, and we love working with Hackbright. What is your advice to other employers who are thinking about hiring from a coding bootcamp or Hackbright Academy in particular? My advice is to take a chance. All it takes is one senior engineer to help bring a Hackbright Academy engineer up to speed in about three to four months. What they can bring in terms of their thought process and creativity, will speak volumes to the features they are working on. Find out more and read Hackbright Academy reviews on Course Report. Check out the Hackbright Academy website, and learn more about becoming a Hackbright Mentor.